POLICE have arrested a 17-year-old boy suspected of assaulting an Anglo-Chinese School (Independent) student at a bus stop after the Schools National B Division rugby final last week. 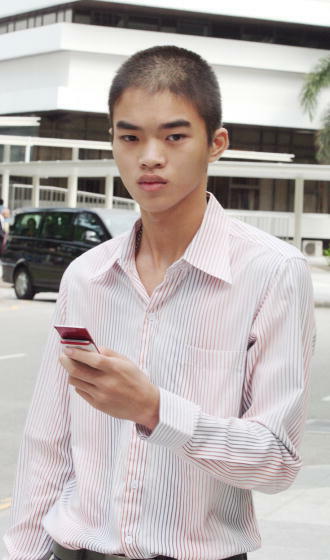 It is believed he is a Secondary 4 student from St Andrew’s School (SAS). The police succeeded in identifying and tracking him down with the help of a photograph an ACS(I) teacher took of him following the altercation. It is understood the boy surrendered himself on Tuesday at the Tanglin Police Station after receiving a call from the police. Both schools declined to comment as the police are investigating. The attack on the ACS(I) student and his friend took place at a bus stop near the Old Police Academy, the venue of the April 12 final. They got away from the aggressor by boarding a bus. One of the victims suffered a broken nose and was taken to hospital. The match, which ACS(I) won 8-7, was marred by an ill-tempered end. SAS player Daniel Tan hit ACS(I) opponent Leonard Wee, sparking an on-pitch invasion by students, parents and old boys from both camps. SAS has punished Daniel and the Singapore School Sports Council is investigating. The ACS(I) and SAS principals met last Friday and have agreed to a reconciliation session for both teams at a later date. I had refrained from commenting on the post-match fracas and pitch invasion that took place after the National Schools Rugby U-17 Police Cup final between St Andrew’s School and Anglo-Chinese School (Independent) because there was already so much being written about the incidents in the print media and online. I didn’t think I had anything else to add to it. But this was the report I was waiting for. I had wondered whether the police would ever catch the thug that did this to the unsuspecting ACS-I student whose only crime was to support his school at the final, and to be at the bus stop at the same time as him. I really hope the law comes down really hard on this hooligan and I hope his school shames him too. Stupid moron. What a stain he has brought upon his school’s name too. Trust me, I will be looking to find out his name and picture and I will not hesitate to publish it here if and when I do get my hands on this. I hope the two ACS-I boys have recovered from their injuries and trauma, and I wish them well.